With the recent growth in popularity of Android devices The Active Channel felt it was time to compliment and enhance its existing mobile channels with a new Android application and the Android Alliance were very happy to help! The channel provides exclusive shows on all aspects of keeping fit, including muscle building, fat loss, nutrition, martial arts, yoga and even a show on how to get a six pack. 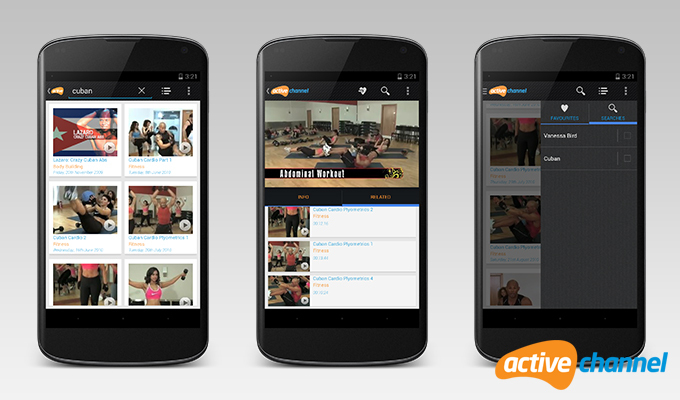 Designed with the intention of making the official Active Channel application a first class Android citizen. We took inspiration from the Android Holo Design Guidelines. Simply following Android design patterns doesn’t mean that our app had to look the same as everyone else’s. Using the app you know you are interacting with The Active Channel, branding is subtle, fonts and imagery is clean and easy on the eye. Implementation of common Android UI patterns such as action bars and navigation drawers are now common place and familiar to the users reducing the learning curve. 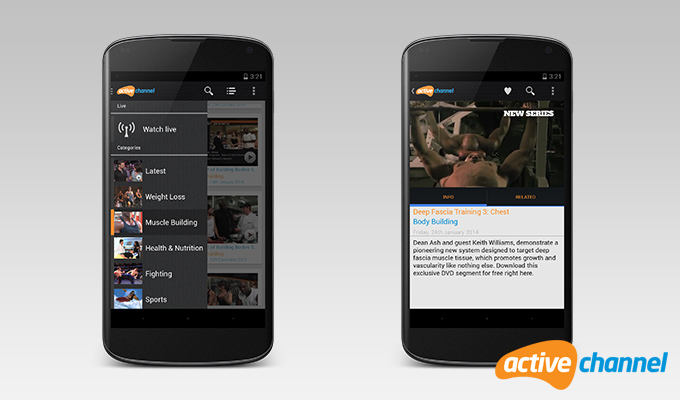 This enables feature discovery as well as easy access to the various show categories, favourite shows and recent searches. It doesn’t just stop there! As the shows can be part of a series users can quickly find and watch the next episode through the related suggestions. 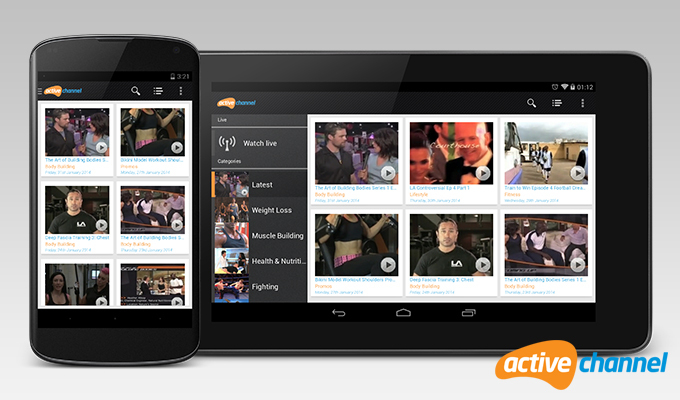 The viewer also has the option to download the show to their device for later viewing anywhere including the gym. If you are a fitness fan you can download the app from the link provided, if you aren’t you can be sure that this app will help you become one!